This probably isn’t the best time for Providence to travel to Villanova. The defending national champion saw its 11 game winning streak snapped the last time out — a one point loss at Marquette on Saturday. 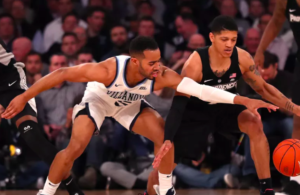 Jay Wright’s group battled back from 15 points down in the second half to slice the lead to one, but they could not convert on the game’s final possession. The Wildcats welcome PC on Wednesday night before playing their next three games on the road, so there should be a level of sense of urgency from Nova. For the first month of the season it appeared as though losing four players to the NBA from last season’s team would be too much to overcome. That first month saw Nova fall by 27 at home to Michigan, lose to Furman at home, and fall to Penn in overtime. They were 8-4 prior to blowing out Connecticut, 81-58, days prior to Christmas — a win that kicked off the streak of 11 straight. Win number three during that span came at the Dunkin Donuts Center on Jan. 5. Nova led by 20 points with just under nine minutes to play, but Providence held them scoreless for over eight minutes and eventually cut the deficit to four with a minute and a half remaining. 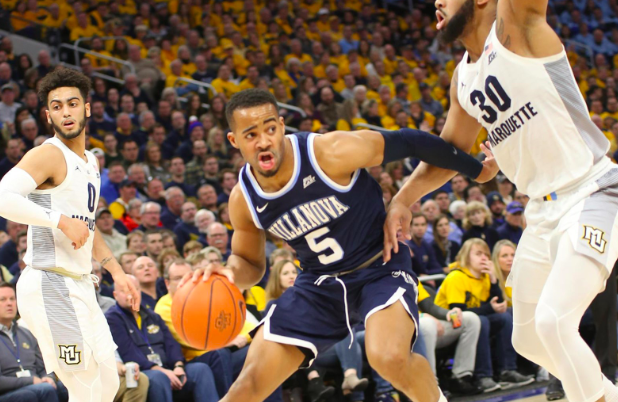 Villanova senior Phil Booth countered with a three point play on the next possession that all but sealed the deal. Booth and Eric Paschal are both seniors and should each be named 1st Team All Big East at season’s end. 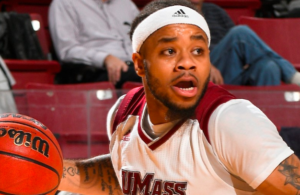 Booth torched PC at the Dunk (23/7/4), while Paschal added a 13 point, 14 rebound double double. If it seems like Booth has been at Villanova forever, it is probably because his teams have played deep into the postseason so often. Nova is a ridiculous 155-21 since Booth arrived on campus, with a pair of national championships. Booth scored 20 points in the national championship against North Carolina his sophomore year. A year ago, Villanova broke the Division 1 record for 3-point field goals made and they are firing away from deep in 2019. Over half of their shots come from beyond the 3-point line. They are ranked 13th in the country in both polls, 10th in offensive efficiency per Ken Pomeroy, and 78th in defensive efficiency. Friar fans won’t see freshman Cole Swider in this one. The Portsmouth, RI native scored in double figures at the Dunk, but since broke a bone in his hand and remains sidelined. 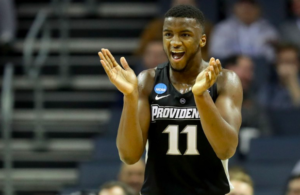 Conversely, Friar freshman AJ Reeves sat out injured the last time these two teams played, and looked to be rounding into form in Providence’s win over St. John’s on Saturday. Reeves buried a pair of timely 3-pointers in that one. The Friars are coming off of their best outside shooting performance in Big East play and have seen another freshman, David Duke, elevate his game the past two weeks. Nate Watson led PC with 18 points on Saturday, while Alpha Diallo notched his eighth double double of the year with 10 points and 15 boards. Wednesday night’s game will be played at the Pavilion on Villanova’s campus, marking the first time PC has stepped foot on that floor since 2015. That was a forgettable night for the Friars, who came in ranked 25th nationally, but fell 89-61 to #6 Nova. Tyler Harris led PC with 18 points off of the bench, while freshman Kyron Cartwright was second with 12. Providence started three freshmen that night in Ben Bentil, Jalen Lindsey, and Paschal Chukwu. While Providence is 4-7 in conference play, they are just a game out of third place in the Big East. After Wednesday night’s game, the Friars’ next three games are at the Dunk. Friars gotta get points from Watson. His 18 against St John’s were key. Also, key is to control the ball and no, none, notta turnovers. Last key is to hit the freeken open shots!!! GOFRIARSBABY!!!! Pavilion is gone it’s Finneran now . …and not only that, but Providence had possession! …but the guard who had the rock at the time (who shall remain nameless) stepped on the baseline while dribbling, unforced, and that was all she wrote. Hey, these things happen, and the Friars showed exceptional 2nd half resiliency. We get them in the “Garden” FRIARS CAN WIN BABY!!!! !